The Mt Royal "Mid-Town" Streetscape Project took at least nine years of discussion before the first shovel went into the ground. The City presented a phase 1 concept in March of 2009 and briefed on construction in October 2017. Construction was initially expected for 2010. The delays were caused by disagreements about the design, inertia and lots of review, yet what is being constructed now is essentially the original design. Other plans to redesign the public realm are not faring much better. What is built today often reflects the thinking from a decade ago, much does never get built at all, in spite of years of discussion, research and expectations, for example the conversion of the St Paul and Calvert Street pair of one-way streets also in Midtown, or the closure of lanes around the McKeldin Plaza downtown. 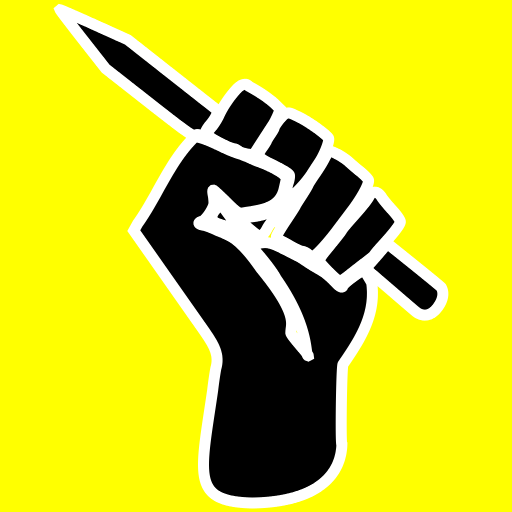 Baltimore is not unique in being in the grip analysis-paralysis. No wonder then, that here and elsewhere people are yearning for other ways to move forward. The desire to see something happen in short order brought about direct action, pop-up installations and "tactical urbanism". Originally a grass-roots movement, the new approach of "just do it and see what happens" has increasingly become mainstream. 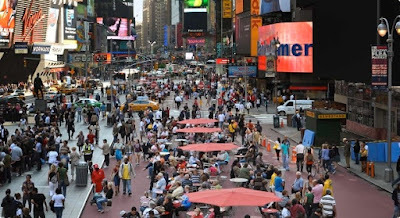 New York's then Transportation Commissioner Sadik Khan famously employed it on Times Square where a temporary installation for pedestrians proved so successful that it became permanent, improving the experience of pedestrians and drivers alike. However, in Baltimore no such spontaneity has found its way into the City DOT yet. 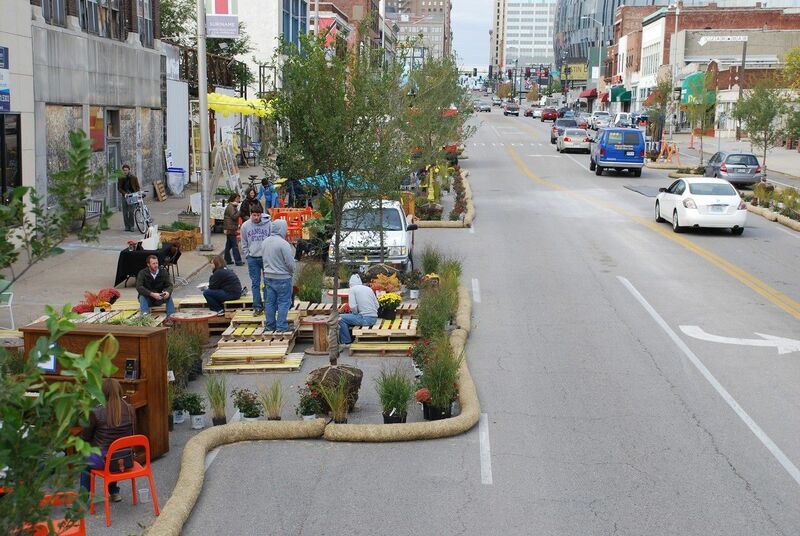 To help the residents and communities in cities and small towns everywhere there are now specialized non-profits and conferences to plan the popular pop-up approach. One of them is the The Better Block Foundation who spread their influence starting in one desolate block of Dallas, TX to an installation at Southwest by Southwest in Austin and all the way to a presentation at the prestigious Baltimore AIA architecture spring lecture series. At the MICA Brown Center Krista Nightendale, the Managing Director of the Better Block Foundation demonstrated with slides and videos how larger and smaller cities enjoy the satisfaction of real action, hands on construction and usable real time transformation of an actual space, even if only for a day, a week, or a month. The power of showing what is possible when people come together, dream a bit and the realize the dream with their own hands is transformative and lasts way beyond the actual installation. Private consultants have gotten into the act, too. The Copenhagen architect Jan Gehl ("Planning by Doing"), who started his career with a 1965 grant to observe people in public spaces in Italy, has built an internationally renowned enterprise around "making cities for people". His firm trained Baltimore's Neighborhood Design Center (NDC) to use his methods on the Y-Not Lot in Station North, one of Baltimore's own pop-up spaces. The Neighborhood Design Center (NDC) offers free design and planning services to help community partners achieve their visions. We were thrilled to work with them as they measured the impact of programming at Ynot Lot in Baltimore’s Station North Arts District. Initially, NDC’s research question focused on social mixing among different groups in the Lot. (The Gehl Institute). 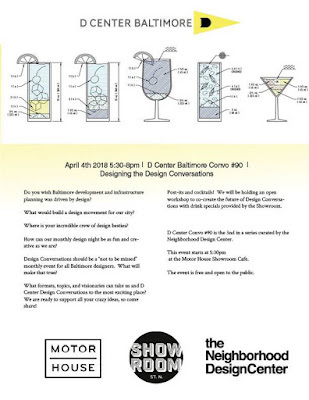 This year the NDC will move Baltimore into the center of discussion by hosting Reverberations — Roots and Relevance of Community Design, the Association for Community Design’s 2018 Conference, an annual event that brings together community, academia, architecture, design and planning firms, nonprofit organizations, and local governments invested in community-engaged design. The event will take place June 8-9 2018. Meanwhile this week AIA Baltimore trained aspiring young civic leaders as part of their annual CivicLab. 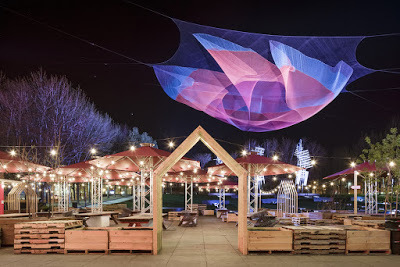 Cristina Murphy, an Assistant Professor at Morgan, presented community-based pop-up installations which she has helped organize in the Netherlands, Italy, the US and South America. She is a co-founder and associate of XCOOP, a Dutch organization devoted in part to those "just do it" rebel installations. xcoop® is an alliance that conducts research and engages in advocacy in areas such as education, design, construction, social policy and strategy, economics and technology issues. Through its flexible and permeable approach, analysis of contemporary living it expresses various creative solutions within a wide range of professions. At CivicLab ideas took flight connecting the Netherlands via the Baltimore-Rotterdam city partnership and getting XCOOP and the financial institution IMG Rebel into a project here. This constellation would elevate pop up urbanism to the level of design for equity and social change. As it turns out, the dream is anchored in reality since IMG Rebel is seeking out places like Baltimore to demonstrate how community-based design can have an impact. Community Architect learned that Jeff George from IMG Rebel's DC office has been in discussions with Baltimore-Rotterdam Sister City Committee and with Cristina Murphy to consider bringing the Social Impact By Design concept to Baltimore. The “by Design” concept in involves a series of design challenges to develop innovative solutions with community-based participation. The concept was first tested in Manhattan after Hurricane Sandy, when in 2012, Rebuild by Design arose out of a US-Dutch partnership. Since then IMG Rebel has actively been growing the “by design” concept, and is now expanding it to the sphere of social impact. They are starting a pilot in the Bospolder Tussendijken neighborhood of Rotterdam (known as “BoTu”) which has experienced significant social stress. Baltimore has seen its own academic institutions sharpen their equity and social impact lens as well, MICA with its program for Social Design and Johns Hopkins with its Bloomberg School which supports the Pugh administration and also with the Johns Hopkins Center for Livable Future at Bloomberg. Even MIT is reaching out to Baltimore through its collaboration with various Impact Hubs like the one in Station North. All this bodes well for Baltimore. There is plenty of energy to make a difference, and it may not always be necessary to wait for the government to take the necessary action but instead start a grassroots effort with the support from non-profits, academia and the private sector. 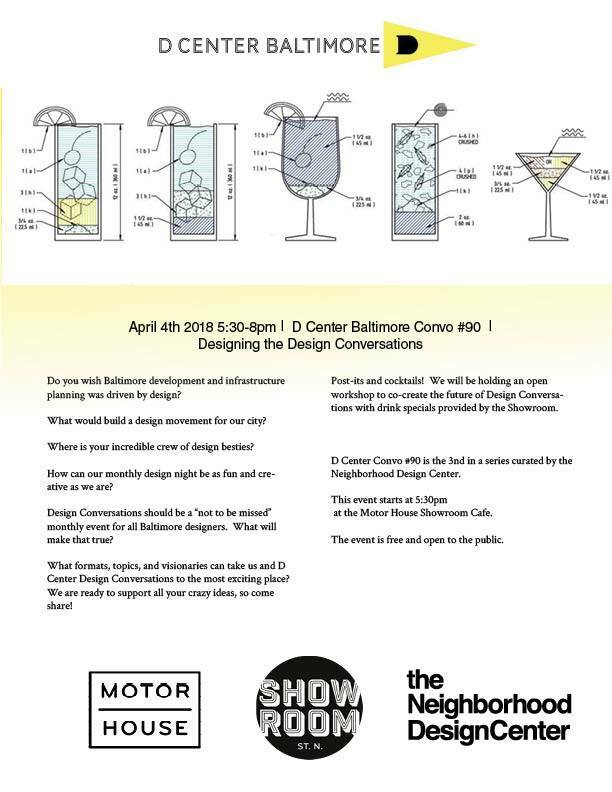 For a broader discussion of impactful design, come to D center's next Design Conversation, Wednesday 4/4/ at 5:30pm at the Motor House. There has been hand-wringing about the latest census estimates by some and a number of "not to worry" statements by others. One group which doesn't seem to worry are developers who are building new apartments in Baltimore at an unprecedented scale. Those who worry about the latest census data, which declare Baltimore to be the second most shrinking city in the country, also worry about an apartment bubble, about gentrification and the possibility that the new apartments are simply increasing the hemorrhage in older established neighborhoods. Some of those worries seem mutually exclusive. The optimists who don't worry, point to the recent past which easily absorbed the apartments coming online and to the actual growth of new neighborhoods such as downtown. They contend that the new residents in those neighborhoods are actually moving in from the outside and are not the result cannibalizing the older neighborhoods. 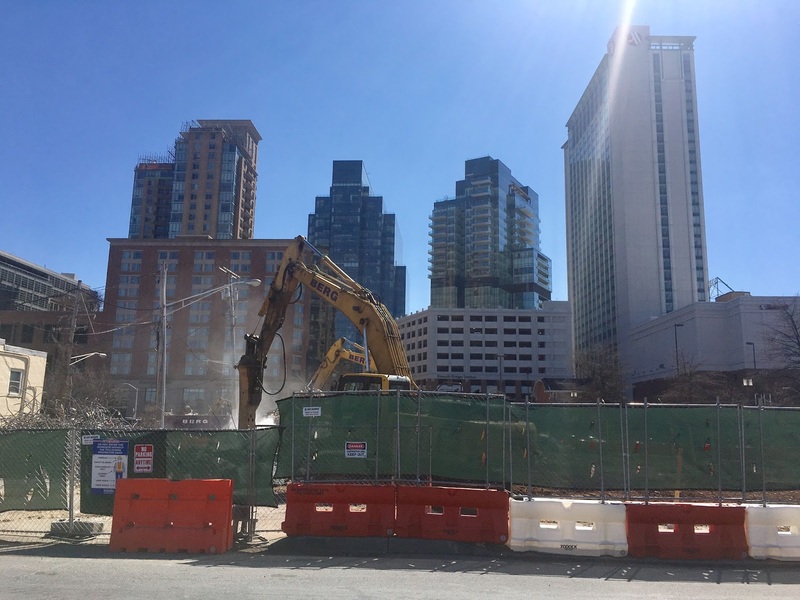 A recent bike-ride through downtown and the waterfront gives an impression of the scale to which new residential construction has been recently completed, is well underway or just breaking ground. This photo collection does not pretend to be exhaustive or analytical, it is just a limited snapshot of the current status. With the huge amount of new rental units in large apartment buildings, it is astounding how little is publicly known about the tenant profiles, about who moves in, who moves out and what the net difference is for Baltimore's tax base. We know only one thing, the plethora of new luxury housing has produced no contributions to the affordable housing fund. 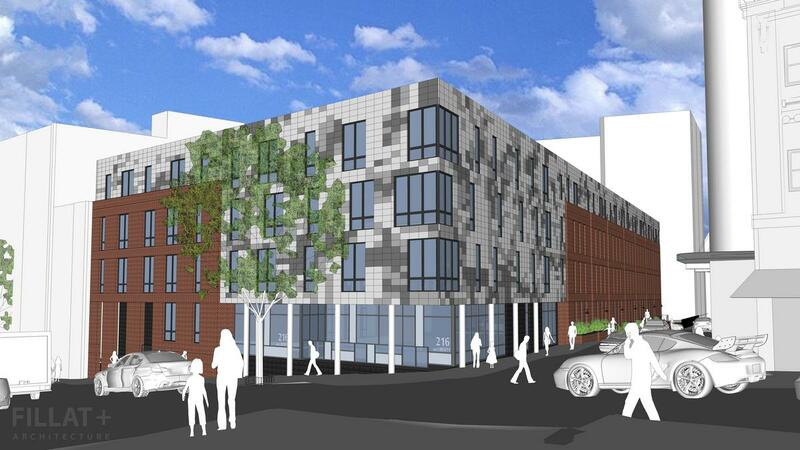 Nelson Kohl Apartments, 103 units, Lanvale Street. Architect: Warehaus (formerly LSC Design) (Photo by Ethan McLeod). The project will open next week. Councilman Leon Pinkett asked "How do we get people of this city to look at North Ave the same way they look at Charles Street?" A brief look at a Baltimore City map quickly reveals how similar Charles Street and North Avenue are, but everybody knows, they are also vastly different. Both streets are straight, go on for miles and bisect almost the entire city, the one north south, the other east west. What only a few people know, both streets also extend into the county, Charles Street all the way to the Beltway, North Avenue, interrupted by Leakin Park, picks up for three blocks west of Forest Park Avenue. The two streets can easily serve as the two major coordinates of Baltimore City, but they also signify the two Baltimores, Charles Street, thriving pretty much from end to end, and North Avenue being disinvested, also from end to end. Where they intersect, Charles Street is most troubled (vacancies and empty lots) and North Avenue sees the most development over its entire 5.5 mile length (not counting the County segment). 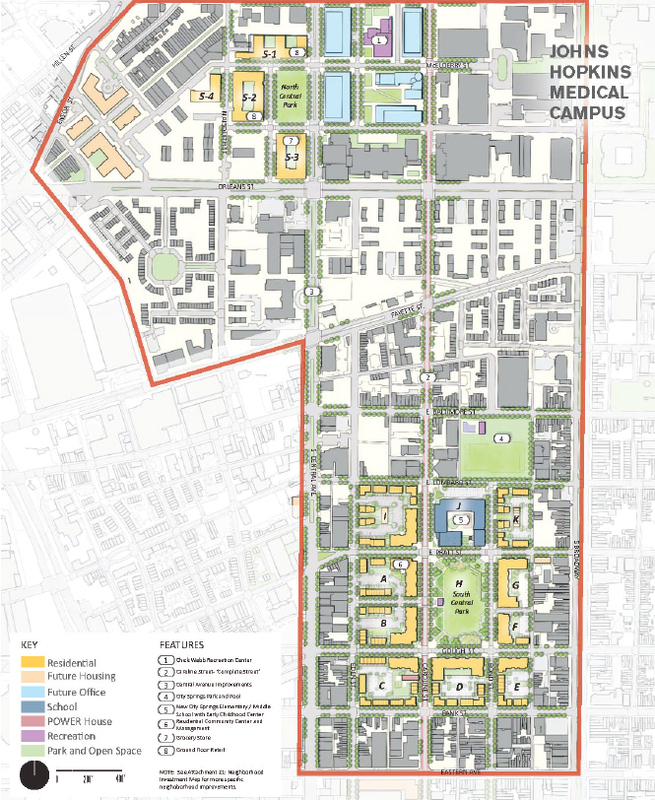 Charles Street institutions include Johns Hopkins University, North Avenue's include Coppin University and MICA. Pinkett put his finger on the wound of Baltimore inequity when he pointed out that Charles Street received $25 million for the street-scaping of 5 blocks (from 29th Street to University Parkway) and North Avenue is receiving $27 million for street-scaping 5 miles (from Hilton to Milton). "It is like painting the whole house with one gallon of paint", Pinkett said to the about 30 business owners, community representatives, agency representatives and other stakeholders assembled in the Leonard E. Hicks Community Center on North Avenue this week, caddy corner from the Coppin School of Nursing and near the Walbrook Lumber development under construction. to the Penn-North Metro Subway station, improved crosswalks, bike boulevards and lanes, and needed intersection improvements and roadway repaving throughout the corridor. The project includes federal, State and local funds and is currently about 35% designed under the federal process tied to the $10 million federal money. The grant also establishes the scope per the application and requires a timeline for the project where design has to be finalized for a bid package by November of this year. Commerce. This group of unlikely "bedfellows" plus a good number of grassroots community activists have met three times to date to discuss how the project can become larger. "This isn't about bashing the MTA", Pinkett remarked, "we are glad they took the initiative and got us the money they did", he said, but he also emphasizes thatthis wasn't enough and if the project wouldn't include economic development, it doesn't make the corridor truly rise. 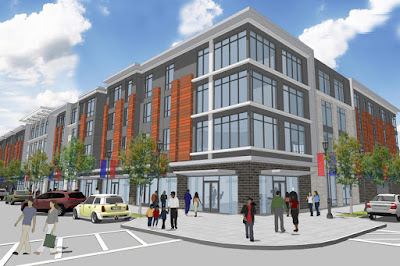 So far Pinkett's group has agreed on that basic notion and suggested that there must be additional phases and that those phases need to reach beyond the "right of way" (the street) and include the businesses and houses along the sides of the street and the connections of the corridor to the adjacent communities. Pinkett feels that "the community needs to take control of the corridor" and enlarge "how the city manages its most important asset, its right of way". (City DOT Director Pourciau likes to say that she "manages the largest chunk of real estate in the City", the streets, which by some estimates make up about 30% of the total city land area. The City carries out some compendium projects on North Avenue such as the East North Avenue streetscape project which was recently completed, a North Ave and Penn Ave intersection improvement, previously designed and now incorporated into the project, and streetscaping between Howard Street and Greenmount Avenue. Pinkett receives technical support from Bikemore's Liz Cornish and Jed Weeks who showed in two meetings slide presentations of how transit can make a street better, accommodate more modes than just cars, and leverage private investment, including examples from other cities such as Eugene, OR, Denver, CO, New York City and Cleveland. The $27 million base project includes some improvements for bicycles such as bikeshare stations and "low stress" routes parallel to North Avenue. 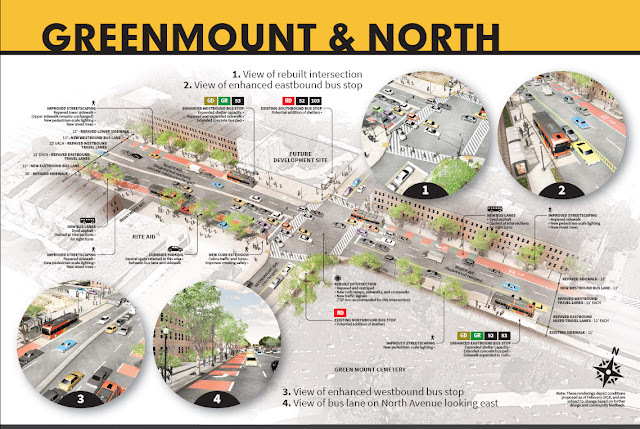 The bicycle elements of the project caused a number of critical comments at the MTA Open Houses and at least one critical statement in Monday's stakeholder meeting. 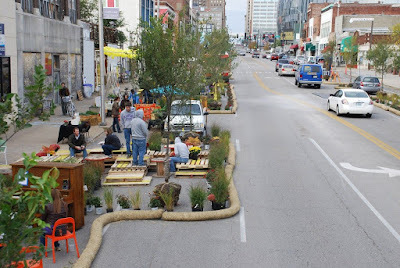 ("Those bike-lanes just cause congestion on the street. I pay thousands of dollars in fees and taxes for my car, what do they pay?"). 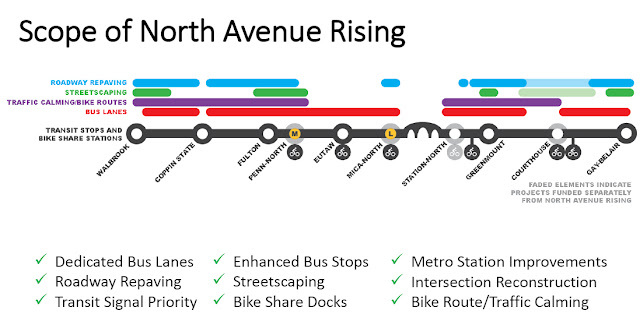 For most segments of North Avenue the project, as currently designed, shows no separate bike-lanes and assumes that bicycles would share the red bus lane like on Pratt and Lombard Streets or ride on parallel streets. 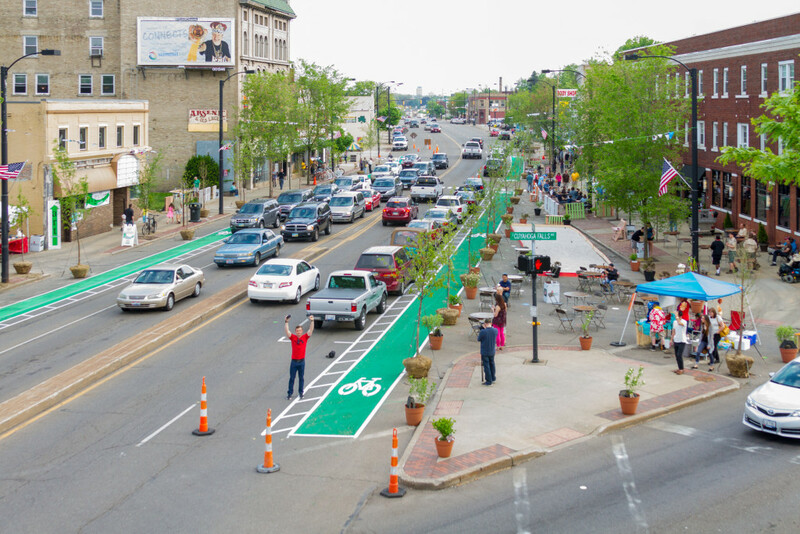 Nowhere is a bike-lane expected to eliminate a car travel lane. 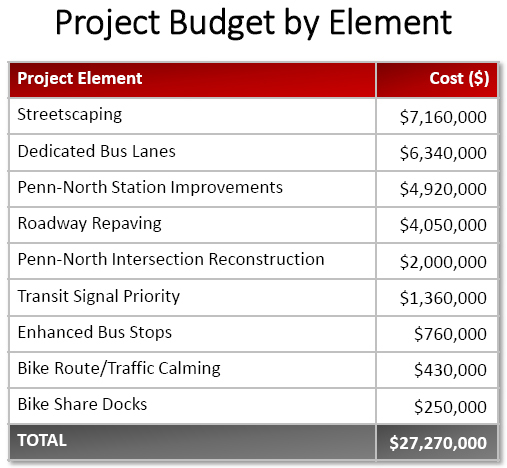 The notion that there should be additional phases and that the projects needs to be more than a transportation project which includes the City Departments of Planning, Housing and Economic Development (BDC) and requires additional funds still needs to be embraced by the Mayor. Pinkett is confident that his fellow council-members are on board, especially now, after councilman Dorsey's Complete Street legislation has been introduced, a bill that would mandate consideration of many transportation modes in street design with a special emphasis on equity. There is probably no better corridor than North Avenue to demonstrate how an important street can leverage equity and economic development. 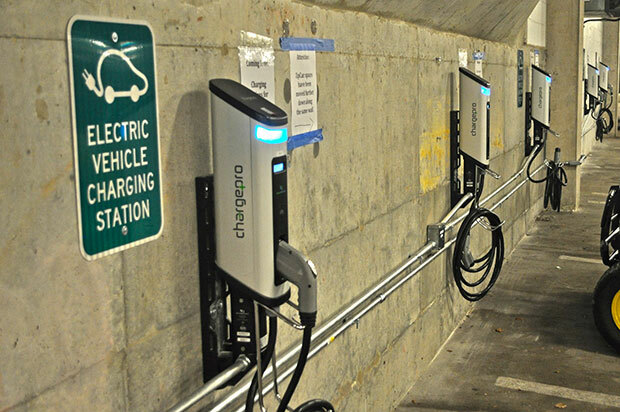 35 cents on your BGE bill for more electric car chargers? 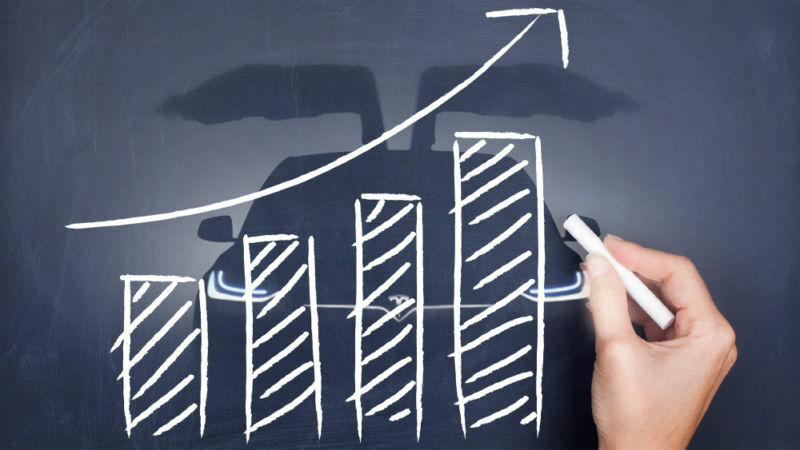 EV sales are taking off: Is a tipping point reached? “The expanded electric-vehicle network is not the future for a car-less or car-reduced society. Equity is a chief concern. While the proposal makes allotments for underserved areas, most electric vehicle owners are affluent, and electric cars won’t serve poor commuters the way the canceled $2.9 billion Red Line subway would have." 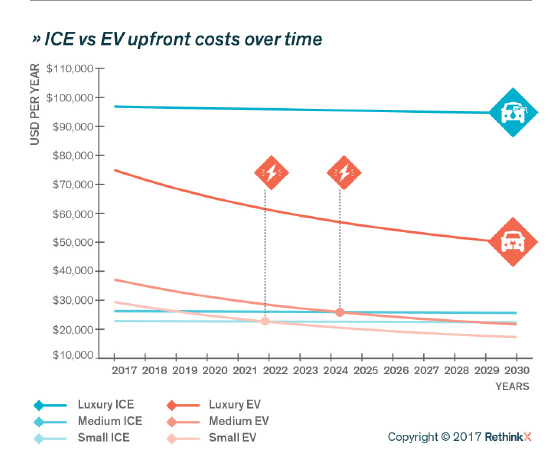 "As for the blandishments regarding improved affordability for the EV's, whether autonomous or not, the economy is moving in new ways that defy traditional analysis. That is, while the EV's may become increasingly affordable for the dwindling middle-class, and current car owning families, they will become less so for the increasing numbers of working poor and "gig" economy workers who will be "at will employees," have low wages, irregular working hours, and no benefits, while paying more comparatively for food, healthcare, housing, transportation, and education. They won't be buying or sharing cars of any type. Instead, they will depend even more desperately on public transportation. Inequity in this society will follow the income gap. The best long-term approach to equity will be a society-wide re-definition of work, income, taxation, and the role of government." 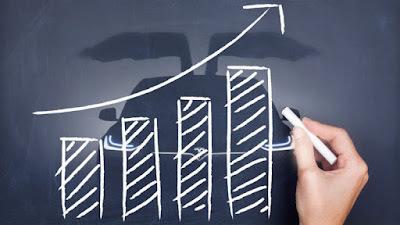 The chief reasons for Seba's optimism are economic: The autonmous electric vehicle sits at the intersection of battery technology, solar energy becoming common and artificial intelligence, all technologies he sees near or at the tipping point from where they grow exponentially and become rapidly cheaper and universal, simply based on economics. The shared autonmous EV then becomes as inevitable as the digital camera, the smart phone and all the other disruptions caused by technology. In his talk he points to two pictures of Manhattan from 1900 and 1913 where in 13 years horses had been entirely replaced by cars. He also points out how Uber and Lyft which in 2017 transported more passengers than all US taxi companies combined. That happened in only eight years since 2009. He argues that cheaper and better batteries combined with cheaper and better chips and LIDAR technology needed to run an AV, will make a fleet-based ride in an electric driverless car so much cheaper than conventional privately owned cars that privately owned gas powered cars will become entirely obsolete by 2030. The real world usually is more complicated than technocrats like to see it. Since Seba's talk, Uber had a deadly crash with an AV in Tempe, letting many doubt how far the AV technology really is. But technocrats are usually good with data. As proof for the reliability of his prediction that AVs will be generally permitted in the US by 2021 and the prevailing vehicle by 2030 Sabia uses his prediction of 2009, in which he had predicted that in 2017 electric vehicles can have a range of 200 miles for the cost of the average purchase price of a US vehicle. (About 32,000). The GM Bolt (237 miles, $37,500 before tax credits), the VW eGolf (125 miles, $30,500) and the Tesla 3 (310 miles, $44,000 before tax credits) almost meet that prediction, even if the Tesla ran into serious production problems. Car sharing itself has lost already some of its initial luster, not only because of the macho style of the previous Uber CEO, but because it doesn't have just positive effects on transportation. In cities such as New York or San Francisco the current gas powered driver operated share car is so ubiquitous that, according to estimates, it creates around 12% of all traffic and contributes significantly to congestion. 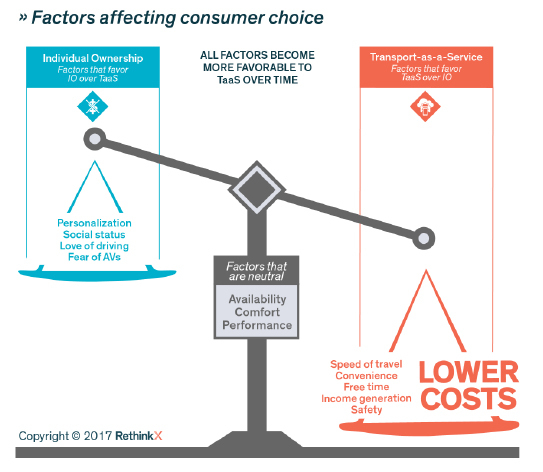 Many also state that the ride sharing companies undercut existing transit. One of those skeptical about EVs is Liz Cornish CEO of Baltimore's bicycling advocacy group Bikemore. Regardless whether Seba's full throated predictions will come true, there is no doubt that electric cars are cleaner and already cheaper to operate. Given that automobiles are a major contributor to air pollution and greenhouse gases, that benefit is worth something. 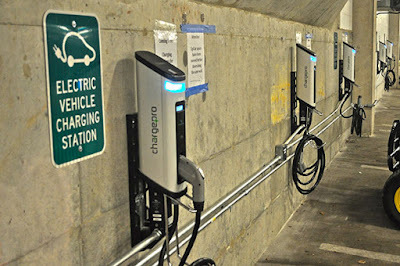 There is also no doubt that electric cars and autonomous operation will require a complete rethink of much what represents the current car centric urban landscape of gas stations, parking garages, multi-lane roadways and surface parking lots surrounding so many suburban buildings. If Maryland can be a leader in exploring how electric propulsion and self autonomous operation revolutionizes the metropolitan landscape, then it should be welcome. However, to date the State's AV working groups have been mostly fixated on technology and liability issues and have concerned themselves little or not at all with questions of urban planning, land use and equity. Finally, whatever the future of electric and autonomous vehicles, large cities will still need transit, clearly Governor Hogan's blind-spot. Regardless of technology, transit must be part of a truly progressive and future oriented transportation policy, even though transit itself will also be revolutionized by electric propulsion and autonomous operations. 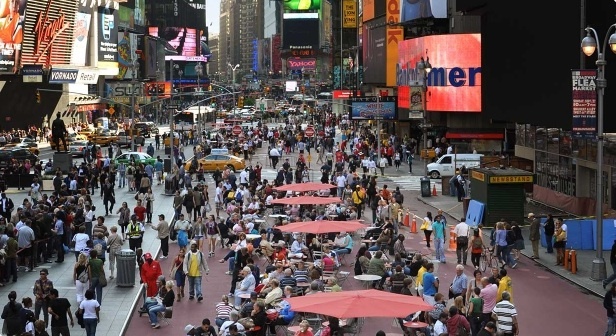 How should developers and cities prepare for the future of transportation? Make no small plans, Daniel Burnham's famous exclamation in consideration of his world fair plans for Chicago have long become disputed (the architect may have never said this), trite (quoted way too often) and a symbol of gender stereotype (for the second half that states "they have no magic to stir men's blood). Yet, from time to time bigger is, in fact, better. One such case may be the idea of combining two eternally stalled plans, the ones for Oldtown/Somersetand for Perkins Homes. In 2016 the city design review saw a presentation of an ambitious Oldtown plan which has gone nowhere since then. At the time the development team consisted of the Beatty Development Group, Henson Development Co., Kevin Johnson's Commercial Group and Philadelphia-based Mission First Housing Group and included a mixed-income community with rental and for-sale homes, a park, a community center and a grocery store on the roughly 16 acres that are part of the original RFP (which does not include the historic district area where the shops are still standing) and another 24 or so acres that the team is looking at to create a larger context for masterplanning that could eventually include as many as 1,100 new housing units, of tax credit affordable housing and market-rate homes, 1.0 million square feet of office space with medical offices linked to Hopkins physicians and 180,000 square feet of retail. The masterplan was presented by Ayers Saint Gross Architects Architects. 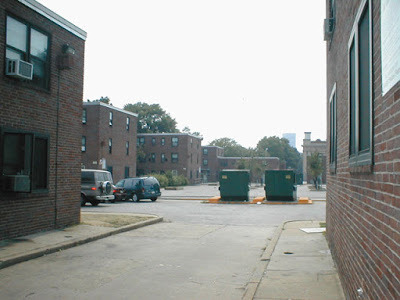 Perkins Homes, a large public housing complex of two story walks ups consists of 688 unit complex in 48 buildings on 17 acres of land and is wedged between what is now Albermarle Square, the Central Avenue corridor and Broadway in upper Fells Point. (The current number of units is provided by HABC as 629). The project had been plagued by numerous complaints over the years about the generally poor quality of life in a complex which was created in response to the housing needs of post WW II America and is the oldest remaining public housing project in Baltimore. HABC had announced full demolition twice. HABC started working with residents and the City’s Planning Department on the Perkins Transformation Project since 2014. 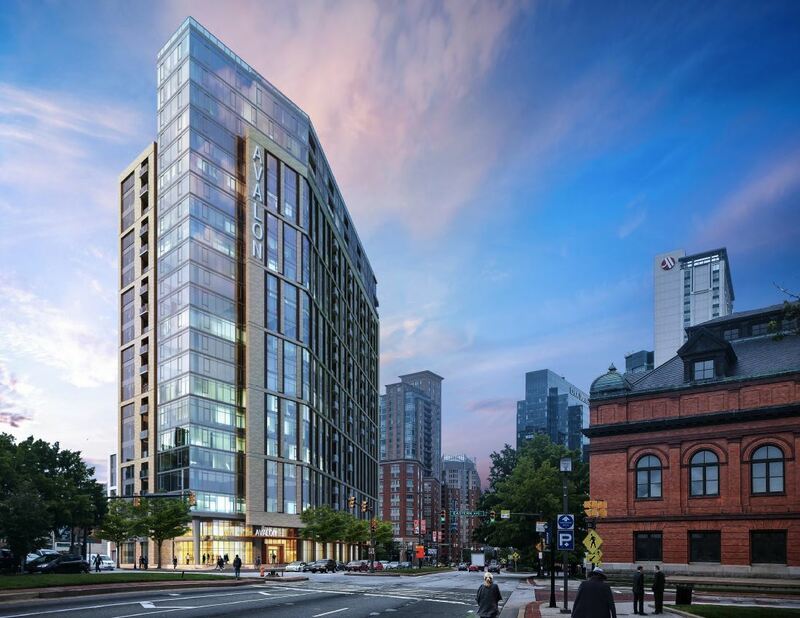 An earlier redevelopment proposal anticipated 1,100 units, of which 629 would have been heavily subsidized affordable units, alongside market-rate and moderate income homes. 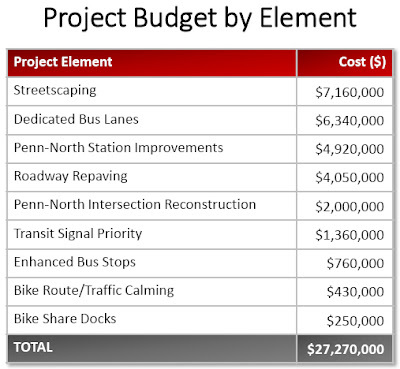 But that $170 million to $200 million plan fell through. 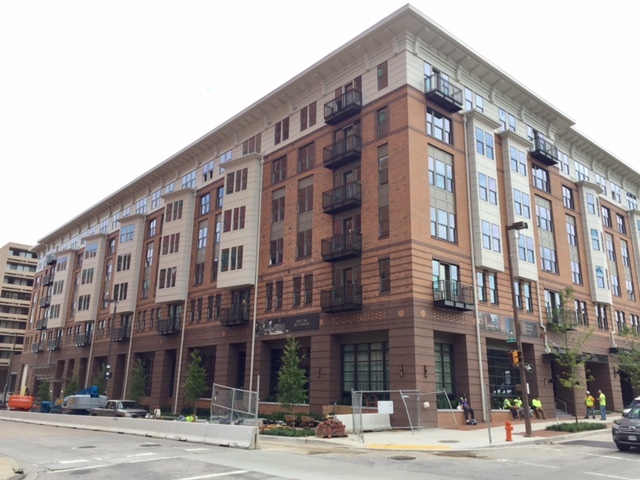 In 2016 Beatty Development with Mission was selected as as the new master developer. The high number of units in a new mixed income development is based on the notion that the number of current affordable units will be replaced 1:1 with affordable units but market rate and for-sale units will be added. 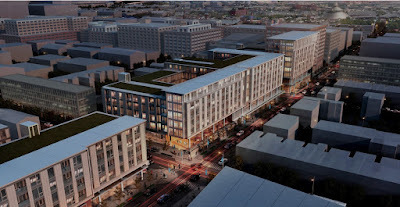 With Beatty Development, a partner in the Oldtown-Somerset and the Perkins project, and both areas located east of downtown, it is only logical to see the two projects in tandem. The new project is dubbed PSO (Perkins-Somerset-Oldtown by HABC which oversses the entire project. The expansion allows to spread the new total number of housing units over a larger area, resulting in densities that are more acceptable to the existing residents and the surrounding communities. The combination of all sites has resulted in the creation of a development team that is now called PSO Housing Company, LLC, the joint venture largely has the same players as before: McCormack Baron Salazar, Beatty Development, Henson Development and Mission First. The master planning was done by Hord Coplan Macht. Cross Street Partners, headed up by William Struever, a familiar face in Baltimore from his time as CEO of Struever Brothers, Eccles and Rouse is part of the Beatty team as well. The overall project cost is given by HABC as $800 million. (The BBJ spoke of $1billion). The Housing Plan will replace all 629 units from Perkins Homes in a new mixed income and mixed use community of 1,345 total units. The Planned Unit Mix will include a total of 652 deeply affordable units and a total of 417 market rate units on [all] housing sites, as well as an additional 276 affordable units at 60% Area Median Income. Located within minutes of Downtown Baltimore and the thriving waterfront, Perkins Somerset Oldtown (PSO) is a community of 5,939 residents in 2,122 households. The target public housing site— Perkins Homes—is currently home to 587 families in 629 units. Built in 1942, Perkins Homes has long outlived its useful life such that complete demolition is now necessary. 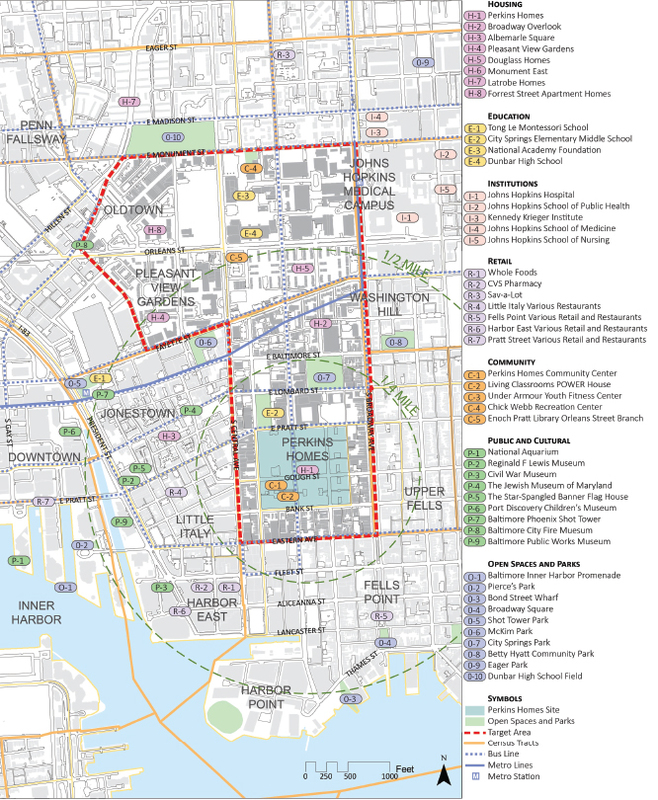 The Plan encompasses two additional development sites, Somerset and Oldtown, both of which are situated at the north end of the PSO Transformation Zone. Somerset was a public housing site that opened for occupancy in 1943 on an 8.6 acre, rectangular parcel of land in East Baltimore, bounded by Monument, Central, Orleans, and Aisquith Streets, just two blocks west of the Johns Hopkins Hospital. The 257 homes were built in two-story buildings along nine courts, and were razed in 2008-2009. Proximal to the Somerset site is Oldtown, which is bounded by Ensor, Forrest, East, and Orleans Streets. 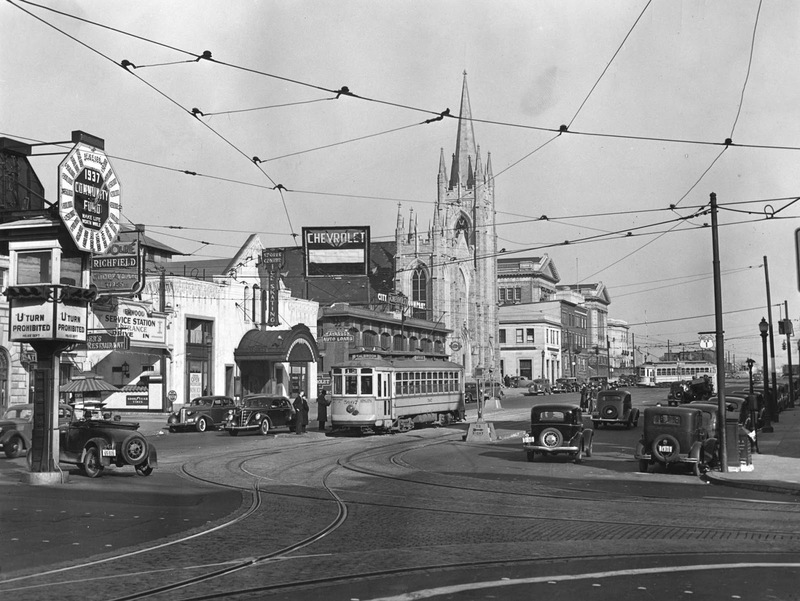 Oldtown was once the site of Bel Air Market, a vibrant pedestrian market, which closed in 1996 and was razed in 2002. 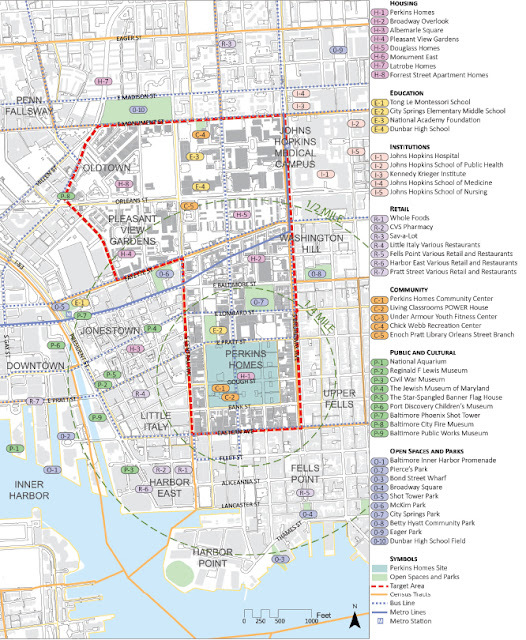 The long-term vision of the PSO Transformation Plan is to transform Perkins Homes and the surrounding community into a Community of Choice that is inviting, promotes resident pride and unity among neighbors, and is integrated into the surrounding area—a new model for a 21st century urban neighborhood. Fears of displacement may persist, even with the promised 1:1 one replacement rate for affordable housing and the now larger opportunity to create the replacement units. 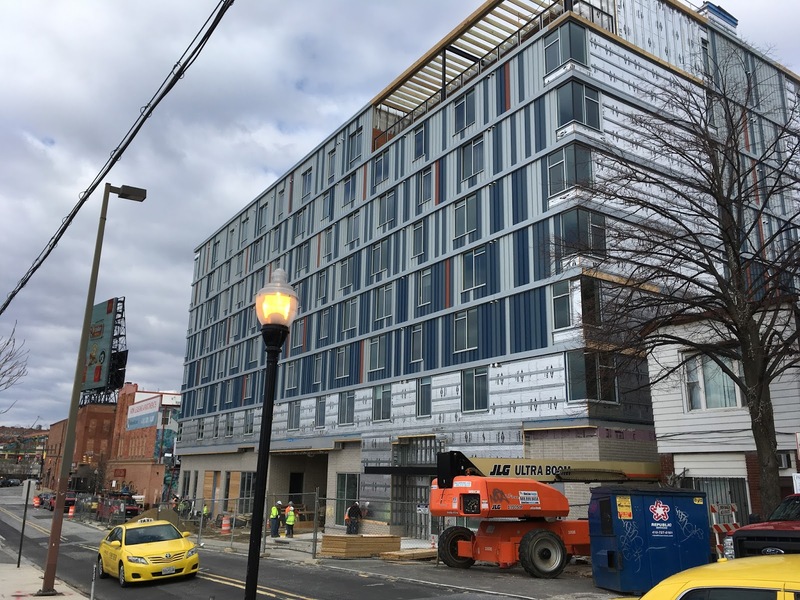 The other large scale east Baltimore development project nearby, EBDI, has left a bad taste with many that criticize the massive relocation with which that project had started. As is obvious from the project description, the count of the in 2002 demolished public housing units of the Somerset development is not included in the 1:1 replacement. Before anything happens, funding is a big issue. For one, the City has applied for a $30 million Choice Neighborhood grant which is not yet decided and subject to Washington budget shenanigans. According to the Housing Department other funding would come from federal, state and local grants, a tax increment financing package and private equity and mortgages. Baltimore has a rich history of securing large amounts of federal money for redevelopment of public houses. When it demolished the large high-rise complexes of Lafayette Courts, Lexington Terrace, Murphy Homes and Flag-House Court, Baltimore secured more federal HOPE VI money than any other jurisdiction. It also diminished its affordable housing stock significantly when each former public housing unit was replaced by a mix of market-rate and affordable units and some home-ownership units as well. Another funding source is expected to be a large TIF. HABC states that the amount has not yet been determined but the BBJ reported "that it is expected to be $250 million". HABC states that it expects the TIF application to be submitted by mid-April. 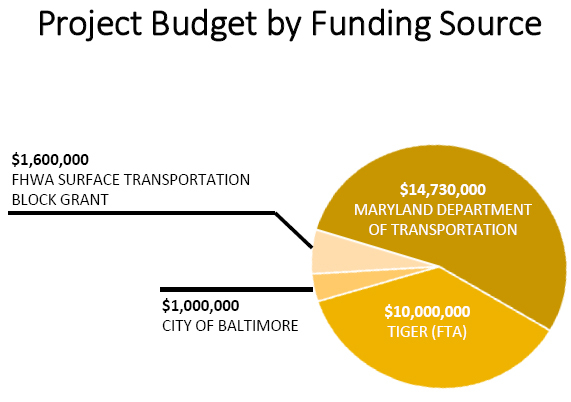 The TIF would fund public infrastructure, such as roads, sidewalks and sewage system, and a school. The tax generators, needed to repay the TIF money, will be the market rate housing, as well as the commercial components. The old Perkins Homes project was embedded into a complex process of review and discussion among a great number of stakeholders, agencies, residents of Perkins Homes and surrounding community associations. It isn't clear yet, how the participation process will be restructured with this now much larger project, and how the existing participants will be informed of the new approach, and how and when the project will be submitted for design review by the new UDAAP "roundtable". One big question will be phasing and the sequence of demolition and reconstruction and whether the project really begins with replacement units on the blank slate of the Somerset site, as the phasing plan indicates, or with the demolition of units at Perkins as some may fear. Baltimoreans can rightly be afraid of anything that starts with demolition because too many projects never went beyond that stage. Make no small plans: In the saga of Baltimore's "black butterfly" and "white L" (describing the Baltimore map of inequity) this plan has the potential of being a giant step forward to creating a East Baltimore that is no longer a disinvested enclave east of downtown but a vibrant community that includes affordability and is connected to downtown, Harbor East and Johns Hopkins. 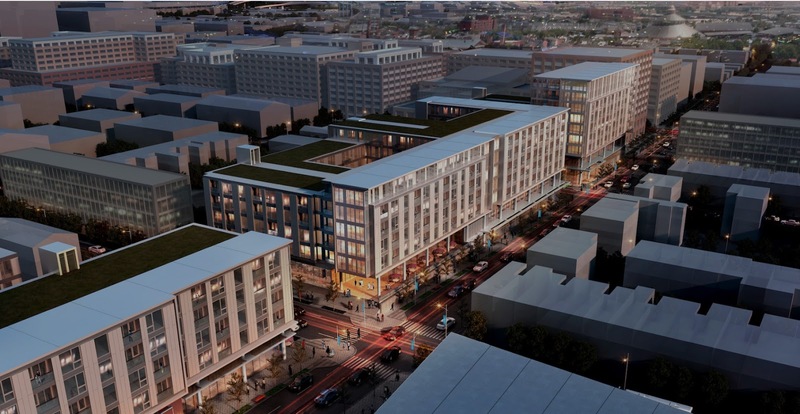 With this plan Beatty Development can prove that it is not only a developer for affluence (like in Harbor East and HarborPoint or in Charles North) but also a partner in making the entire area whole. After the many years in which Oldtown, Somerset and Perkins Homes languished in limbo, this plan promises to be the urgently needed breakthrough. Old Town - from ruins to glory? Perkins Homes: Opportunity or Displacement? Residents have the right to remain and be offered a one-time direct move into a newlyconstructed unit. In addition, they will be offered at least two other permanent replacement housing options—a tenant-based Section 8 voucher or a move to a comparable public housing unit at another HABC development. Residents will work closely with relocation counselors, who will help residents make the best decision for themselves and their family. To facilitate this relocation strategy, the housing development will be broken down into six phases, starting with parcels outside of the Perkins Homes development. (from the HABC brochure on the website). Scores of Baltimore mayors presided over a city that dwindled away under their eyes. A city that was once pushing a million residents lost more than a full third of its population, down to 650,000. Detroit, Cleveland and Pittsburgh all lost over 50% from their peak population base, but all those cities have long recovered since and staved off further loss. Not Baltimore. It took until 2010 until a mayor finally said: "Enough is enough" and proclaimed to wanting not only stave the losses but grow the city back by 10,000 households in ten years. This was a message that everyone could understand, even though not everybody got that 10k households really translates into about 22,000 people. From losing about a 1000 people a month under Mayor Schmoke, Stephanie Rawlings Blake (SRB) aimed for growth of about 180 people each month. It was modest but seemed realistic. No longer can Baltimore conveniently hide behind Detroit, the city that Baltimore usually appreciates as a place where everything is much worse. Although Detroit's whopping population loss is almost double that of Baltimore, the city has managed to project a come-back story around its downtown renaissance which is largely fueled by Quickbooks owner Gilbert. Today's associations with Detroit are largely positive and deal with festivals, the new streetcar, beautiful restorations and a pervasive can do attitude that includes the neighborhoods. Baltimore, by contrast has not succeeded in projecting a sense of direction in which all the puzzle pieces nicely fit together and progress is made in such a manner that positive feedback loops can unfold, even though plenty of good initiatives are underway, many successful. Still, actions seem reactive and more designed to breathlessly follow developments instead of creating a clear path that every agency follows. 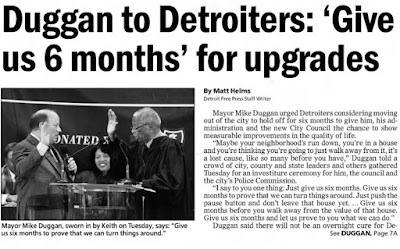 Detroit's mayor Mike Duggan who came into office in 2014, immediately asked people to give him six months before they decided to move out of Detroit. With a clear commitment to better services, targeted investments and true community participation centered around equity. 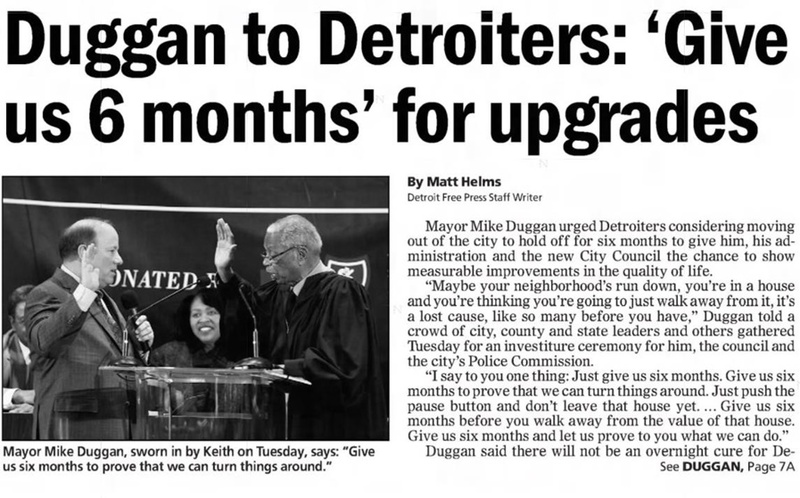 Motto: "Every neighborhood has a future" the exodus out of Detroit has slowed to a trickle since 2014 and Detroit conveyed the image of a city that has begun to get things under control. It isn't overly surprising that Baltimore didn't manage such a remarkable come-back story. Although SRB's goal of population growth was right on the money, there was little strategic follow through to ensure population growth. No breakdown of neighborhoods with specific population targets was ever provided nor was there any strategy that identified which segments of the population were the most likely to leave and what it would take to prevent their departure. Instead, the administration just continued the same programs they always pursued, namely inviting development along the water and downtown where it happened anyway. Baltimore did, in fact, attract a lot of younger people to move into all the new apartments, but it failed to stop others from leaving the established neighborhoods. The unrest, the police scandal and the exploding crime rates certainly didn't help, nor does it help that the schools don't seem to be able to escape the bad spell hanging over them, in spite of record money being poured into new school construction. The Governor's on and off "love" for Baltimore doesn't help either. His project CORE has funded some great things but there is no sense of systematic investment that would add up to a bigger picture, just a sense of accelerated demolition. His measly transit substitute for the Red Line, the rebranded bus system, may slowly get its bearings, too late though, to be remembered by anybody as a convincing success story. Whatever headway was made in MTA's credibility got lost again when the Metro had to be shut down so suddenly. The promise that the Gov is committed to rebuilding State Center sounds like empty rhetoric in light of the law suits he filed at the same time. The Mayor is correct, Baltimore has not been able to develop a convincing narrative, but evidently overlooks that she could create that narrative out of her own office. Barring major catastrophes being generated in the crazy capital of our nation, and assuming continued growth in the region, Baltimore still stands a good chance of turning the corner and truly becoming a growing city again that upwardly mobile people would continue to see as an attractive destination, and that at the same time, long-time residents would find sufficient motivation to stay put. There are certainly enough people eager to fall in line once a persuasive strategy would be in sight. Until then, business as usual means more bad news. Did the best UDARP ever just get dismantled? Is the third time the charm for the Mayfair?